So I’m back again with another V1102 hack and this time I’m not going to apologise about showing another variation on the same thing because I LOVE THIS DRESS. 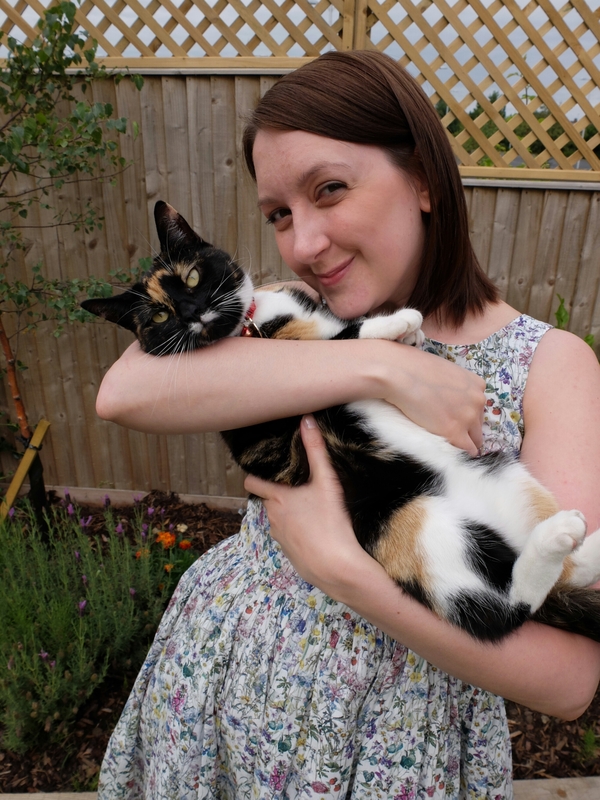 For those new to my blog, this is the AKO for Vogue dress pattern I made at the John Lewis sewing bee but lengthened the bodice, raised the back and put with a gathered skirt! This is version 5 I think… yes I’ve lost count. But it’s such a staple dress for me and I’m super happy with the fit. I might just raise the waist back up a smidge as I think it’s more flattering just above my natural waist. 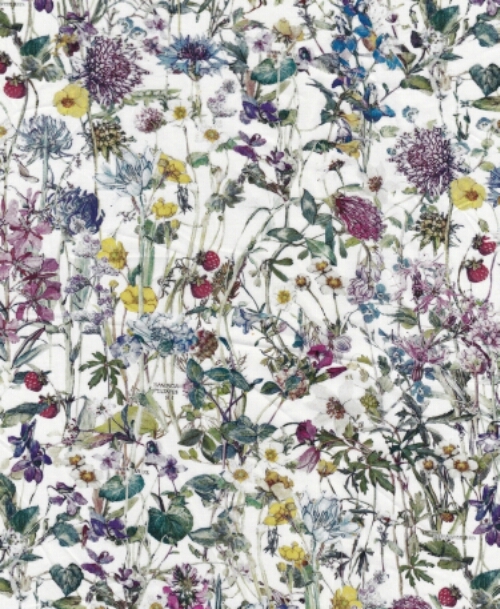 (1) This stunning wild flower print Liberty tana lawn in in colourway A. (Note to self for next time: Underline and line bodice for stability if you use lawn again. I don’t like those wrinkles at the back.) By the way… Did you see they’re putting a similar print on a Limited Edition sewing machine out in Sept?! (3) The gathered skirt is the full width of the fabric so it is extra swooshy. This fabric was a 30th birthday present from Jimi but it’s taken me a year to cut into it. Fittingly I wore it to this year’s birthday dinner at Crafthouse in Leeds (sadly no crafts occur there). 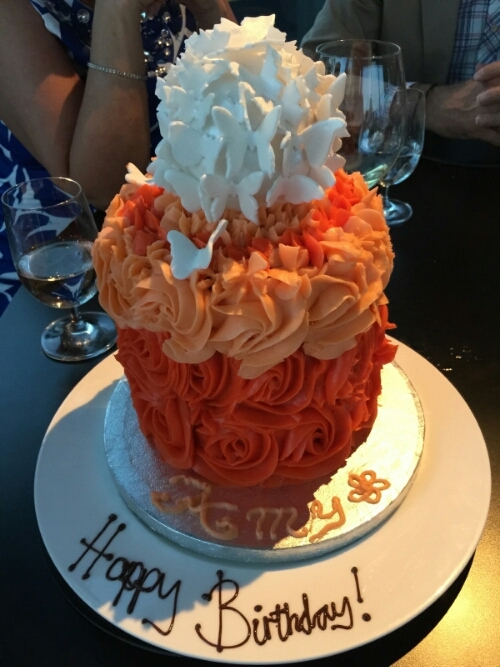 I ate a scrumptious risotto and slurped a few delicious glasses of wine before being presented with my spectacular birthday cake. Even though my mum makes custom order cakes for a living, I did not expect this magnificent beast! 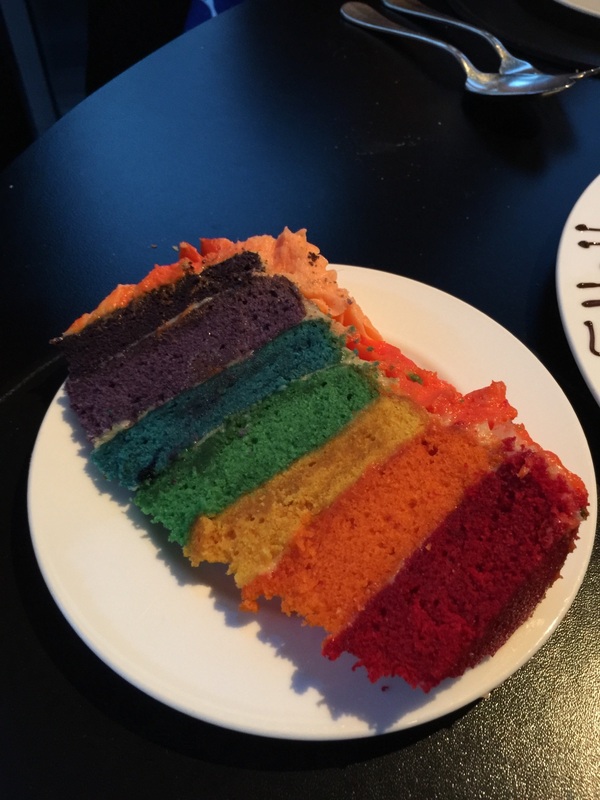 Inside each layer is a different colour of the rainbow. Bonus cat pic for you all now!